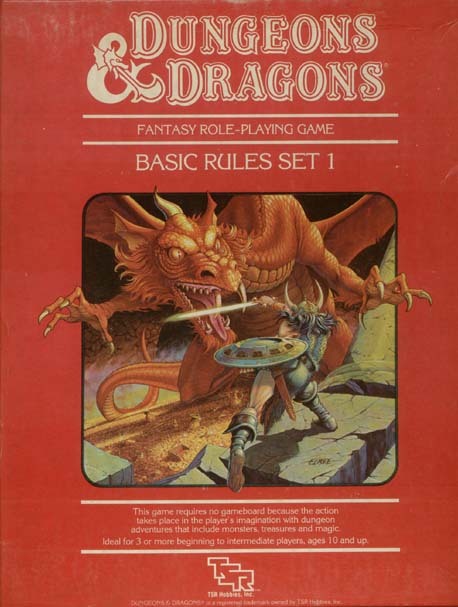 My first encounter with Dungeons and Dragons (DnD), the archetypal tabletop roleplaying game (rpg), took place in the winter of my freshman year of high school. I had just left the dark, lonely, Mordor-esque bleakness of my middle school years, and in joining the marching band, I made some good friends who shared my affinity for elf culture and all of the other geeky things that fill up the time of teenagers who exist on the outskirts of the high school social strata. As Christmas was approaching, this group of friends invited me to play a DnD campaign with them over the school holiday. Every day of that break, for hours upon hours, my group of newfound friends and I would pore over obscure and arcane 3.5 edition DnD rulebooks, trying to make sense of this new game which allowed us to not only enjoy fantasy, but to experience it. To create it. I fashioned myself into a human paladin—sworn to protect and uphold all things lawful and good in the world. He made mincemeat of goblins and orcs throughout the realm, and was a certified badass. That Christmas holiday will always hold a particularly sweet place in my memory. DnD is a game best learned by playing, but for those who are unfamiliar with tabletop rpgs, the gist is pretty simple: at its core, DnD is simply a facilitator for group storytelling. The entire game is played in the “theater of the mind” through verbal descriptions of a mutually constructed world within which the game takes place. 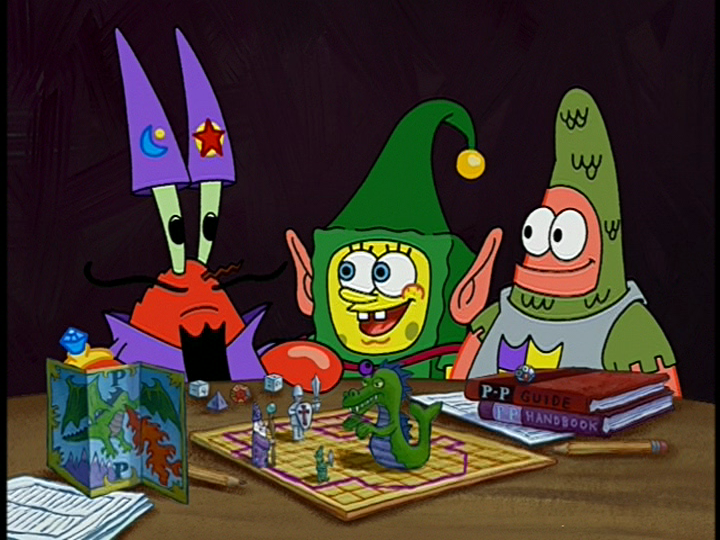 The players, who take on various fantasy-themed personas, such as elf wizards and dwarf barbarians, interact with the Dungeon Master (DM), who runs the game by providing players with verbal descriptions of a living, breathing world, complete with problems to solve, enemies to vanquish, other characters to interact with, and of course, treasure-filled dungeons to explore. This framework allows for an incredible amount of creative flexibility—the players are able do virtually anything they want within the world the DM describes to the players, and the DM can flavor the game to be as serious or absurd as the group wants. Last summer, after being re-exposed to tabletop rpgs through the universally binge-watched Stranger Things, and HarmonQuest, a fantastic improv comedy show which features Dan Harmon (the writer for Community and Rick and Morty) playing a tabletop rpg with other actors and comedians, a group of my closest friends and I decided to try our hand at the newest edition of DnD. On a sweltering August evening, we met at a friend’s apartment over a feast of Papa John’s and brownies, and started to play the Starter Set for the one nerd game to rule them all. 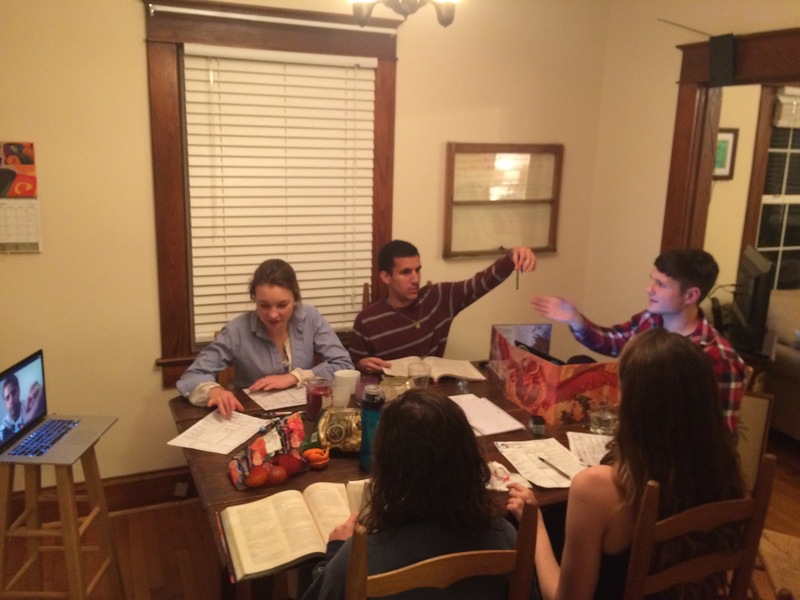 For almost a year now, I have had the privilege of serving as DM for a bi-monthly DnD group of my closest friends, which includes my now-wife and several members of our wedding party. To say that the game has become a staple within our shared social experience would be an incredible understatement. We have since graduated from the prefab campaign which came with the Starter Set, and for the past few months I’ve been writing homebrewed content for our group of adventurers. Writing our current campaign from scratch has easily been the most rewarding chapter of my experience with DnD. In building a campaign, the DM also needs to construct the world within which the campaign occurs. This includes considering geography, politics, economics, people of influence, religion, and how each of these vectors changes throughout time and generates conflict within the game world. Ultimately, these factors inform how the players fit into the larger picture which encapsulates the conflicts experienced during a particular game session. Within my love for campaign-writing, world-building is where I invest the most time. I’ve poured countless hours into the totally fictional nation where our game takes place, which is broken up into several provinces, each with their own capitals, economic exports, and geographic features. The campaign we’re playing currently takes place in a southern province, which has been dealing with raids along its eastern border and a Dwarven rebellion in the northern mountain range, causing interruptions along various trade routes. Several towns and cities dot our poorly-drawn maps, each with their own unique features, economics, and political systems. The point in constructing all of these places, aside from allowing me to justify to myself why I’m writing about dwarves and elves as a grown man, is so that the players genuinely care about the people and places they’re saving. The goal is to build a world which is interesting and self-consistent, so that the players feel like this is a living, breathing place which would continue on even if they weren’t there. “Then God said, ‘let us make humankind in our image, according to our likeness…’” (Genesis 1:26, NRSV). “So God created humankind in his image, in the image of God he created them; male and female he created them” (Genesis 1:27, NRSV). “‘In our image’ means to be created as a being which has its ground and possibility in the fact that in ‘us,’ i.e., in God’s own sphere and being, there exists a divine and therefore self- grounded prototype to which this being can correspond…” (Church Dogmatics III.1, p. 183). While Barth is reticent in claiming that the particularity of humanity’s intellectual, moral, rational, or other distinguishing characteristics are components of its role as image bearer (III.1, p. 184, 185, 198), he is clear in arguing that God “…willed the existence of a being…to which His own divine form of life is not alien; which in a creaturely repetition, as a copy and imitation, can be a bearer of this form of life” (III.1, 184-185). The God who created humankind in this manner is first revealed in the Scriptures as the One who creates: “That God will create man in His image implies that it is not man but God who is first a living Person as One who knows and wills and speaks” (III.1, 110), and in fact, God is first and foremost revealed in the Biblical text as the one who speaks creation into existence (Genesis 1). Thus, although my argument admittedly doesn’t fall neatly within Barth’s system, it does seem that the human capacity to both think and act creatively directly mirrors the very character of God as it is revealed in the beginning of the Bible, and perhaps is somehow essential to the divine image which has been imprinted upon humanity. Perhaps, as God is understood fundamentally to be Creator at the beginning of Genesis, humanity should also be understood to fundamentally model its own creativity off of God’s own. Thus, mankind’s desire and proclivity for creating music and art, our insatiable desire to construct skyscrapers and fix cars, and our incessant need to map the stars and understand the inner workings of mathematics, somehow mirror and are shaped by the absolute expressive authority of the Creator, even if ours is only a shallow, murky, and incomplete copy of God’s own. Of course, perhaps this is all just my own way of rationalizing the absurd amount of time I’ve poured into my make-believe DnD world. That’s quite possible. However, as I’m drawing my little maps of dwarven halls on graph paper, and putting giant sharks in booby-trapped underground lakes to thwart my player’s attempts to reach ancient treasure rooms, I do find myself thinking about the unbridled joy which God must have experienced as He was bringing order to the formless cosmos, as he separated the waters and molded mountains and trees and lobsters and Siberian Huskies, and as He created you and me. If, in some way, my construction of our DnD world is a small, shadowy reflection of God’s creative action at work at the beginning of time, then I can only agree with Barth, who later writes that “Creation is blessing because it has unchangeably the character of an action in which the divine joy, honour, and affirmation are turned towards another” (Church Dogmatics III.1, p. 331). Beyond world-building, DnD campaigns require the same thing we find in any halfway-decent fantasy book: a quest! To save the kingdom! To find the lost treasure! To vanquish evil once and for all! In true fantasy style, the conflicts in virtually all DnD games are generated by friction between the forces of good and evil. DnD relies on the discretization of morality into “alignments” which exist along two axes: good/evil, and lawful/chaotic. So, while my badass paladin from 9th grade would be categorized as “lawful good” because of his proclivity towards justice and charity, the goblins he stabbed would probably be “chaotic evil” due to their capacity for arbitrary violence and general nastiness. Similarly, the dungeons, haunted tombs, and bandit lairs my players explore are unequivocally “evil” and “chaotic” places, while the towns and individuals they attempt to protect and help are clearly “good” and “lawful” in most cases. The requirement to categorize morality into black/white brackets within our DnD world is a clear projection of our own tendency to think in the same terms in-between our gaming sessions. While I’m obviously as “lawful good” as my badass paladin, that person who rubs me the wrong way is clearly evil to the core. This life philosophy or political stance which contradicts my own is obviously chaotic and intended to destroy everything I hold dear. Sadly, I identify real people using terminology from a tabletop game I play every two weeks, when the stakes in the real world are much, much higher than saving a village of gnomes from a horde of zombies. “Once more we stand before this ‘other’ new world which begins in the Bible. In it the chief consideration is not the doings of man but the doings of God—not the various ways which we may take if we are men of good will, but the power out of which good will must first be created—not the unfolding and fruition of love as we may understand it, but the existence and outpouring of eternal love, of love as God understands it—not industry, honesty, and helpfulness as we may practice them in our old ordinary world, but the establishment and growth of a new world, the world in which God and his morality reign” (p. 39-40). In nerd-lingo, this “wholly different” history which begins is one where the quest has already been completed before it even begins. The kingdom was saved before the players ever got to the table. In fact, the players would have had to face a level 20 ancient red dragon and would have never stood a chance in the first place. The Gospel tosses out the rulebooks and claims that Jesus has changed everything about the way the game is played. It’s not even the same game anymore; instead, it is a new game, played on God’s terms, where God has already secured absolute victory on our behalf. This is, fundamentally, good news—much better news than my badass paladin could ever hope to bring to the beleaguered villagers entrusted to his care. Zack V is the best DM this side of Dolium. Love this: “Simultaneously, the cross unequivocally states that God has thrown out the old alignment system, and that we are all covered by grace, and made “lawful good,” not of our own volition, but through the love God has for us.” Praise be to Bahamut!